Arrival at No Bai International Airport, and transfer to hotel. Free program. After breakfast, your will go / pass Ho Chi Minh Mausoleum (closed on Monday & Friday), Temple of Literature, One Pillar Pagoda, Buddhist Tran Qouc Pagoda, Dan Bat Trang Pottery Village (closed on Tuesday, Thursday, Saturday and Sunday - if closed, change to Ethnology Museum). After breakfast, you will go to Halong Cruise (with seafood and kayaking) and visit Thien Cung Cave, transfer back to Hanoi. 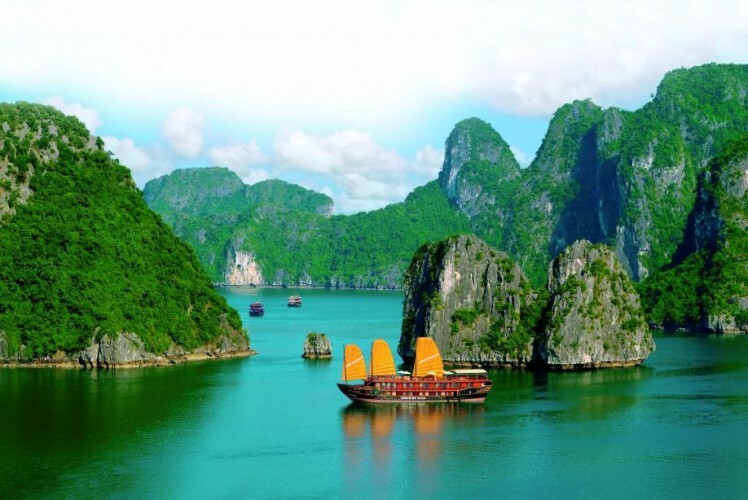 After breakfast, your will go to Halong Bay with shuttle bus. Lunch inside cruise while enjoying the scenic view, and you can also do kayaking to the smaller islands surrounding. Alternatively, you can simply relax or swimming, fishing, etc. Dinner and overnight on the cruise. After breakfast, you will visit Surprising Cave, joining cooking session and lunch on the cruise. Then transfer to Hanoi.